Order Fulfillment Center Pricing: How Does it Work? Last week here on our blog, we answered the basic question, What is Order Fulfillment?, and we covered the general services associated with it. This week, we’d like to dive into another topic that comes up fairly often….order fulfillment pricing. If you’re an online seller who’s ever done your own fulfillment, you’re aware of what a big hassle it can be. You need space to store your inventory, technology to process and manage orders, and you need to hire staff to pick and pack those orders….that is, unless you’re doing that yourself, which eats away at valuable time you could be spending on other things. Most online sellers have at some point debated whether they should keep their fulfillment in house, or outsource it to an eCommerce fulfillment center like eFulfillment Service. In many cases, it comes down to costs. And since every fulfillment house charges a little differently, we wanted to go over some of the typical pricing involved with outsourced order fulfillment, starting with setup fees. Here at eFulfillment Service (EFS), we don’t charge setup fees, but since most fulfillment companies do, we figured it made sense to mention them in our post about order fulfillment pricing. Setup fees are generally one-time charges that can range from around $100 to well over $500, depending on the fulfillment provider, IT requirements, and the number of SKUs that the merchant plans to store with their fulfillment center. Cart Integration – many providers will charge a fee to integrate their order fulfillment software with the seller’s shopping cart, and/or to enter their seller’s SKUs within that software. At EFS, shopping cart integration is fast, easy and free. Warehouse Prep – it’s also not uncommon for fulfillment houses to charge their clients to prepare their staff and facility. For instance, many companies will charge setup fees to reconfigure existing racking to accommodate their client’s merchandise, or to train their own staff on how to deal with that client’s order handling requirements. Receiving – while most fulfillment service providers charge for ongoing receiving, some will also charge a setup fee to handle the initial inventory they receive from the seller (or the seller’s suppliers). Order Testing – to make sure everything’s set up properly, some companies even charge sellers for initial order testing. In the world of outsourced order fulfillment, it’s rare to not have to pay some type of setup fee, which unfortunately can make it more risky for sellers, not just for startups, but also for established merchants, as they’re already out a good chunk of change prior to even getting started with a new vendor. At eFulfillment Service, our mission has always been to make order fulfillment easy and affordable for online sellers of all types and sizes, which means never charging any setup fees. When you look at an order fulfillment pricing proposal, it will undoubtedly include fees for inventory storage. 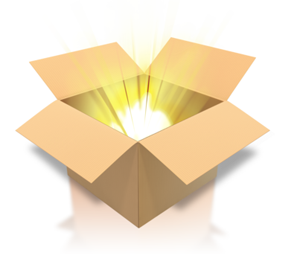 Minimums – many fulfillment companies have storage minimums. For instance, if a seller’s merchandise only takes up half of a pallet, there may be a one pallet minimum, which means the seller’s charged for the whole pallet. Long-Term Storage Fees – fulfillment houses make money when they process and ship orders, so it’s becoming increasingly common for companies to charge sellers extra for slow-moving merchandise. At EFS, we charge our clients only for the storage space they actually use, and our rates always stay the same, regardless of whether or not our clients’ merchandise sells. When reviewing fulfillment pricing proposals, sellers will usually often come across “Receiving” or “Inventory Management” fees. These fees typically cover ongoing receiving of inventory, put away, cycle counting, and reporting of inventory levels. Inventory management and receiving fees may be charged on a per SKU basis, or by the hour. Pick and pack fees refer to the charges incurred when a seller’s fulfillment provider will physically pick the items for an order off of the shelves in the warehouse, and then pack those items in a box or envelope to be shipped. Pick and pack fees can be charged on a per-item basis, on a per-order basis, or both. For instance, a seller may be charged a pick and pack fee for each order, and that fee will include one item. If the seller’s order has more than one item, there’s an additional fee. It is common for fulfillment companies to charge for pick and pack on a sliding scale, meaning the greater the order volume, the lower the pick and pack fee. Some companies will charge an order handling fee on top of the pick and pack fee. And on occasion, sellers may also find a weight handling fee within their fulfillment pricing proposals, which will vary based on the shipping method and weight of the items. These types of fees are generally meant to cover expenses associated with special orders or heavier items. At eFulfillment Service, we do not charge order handling or weight handling fees. Packaging isn’t free, so fulfillment houses will often charge for it. It’s not uncommon for packaging fees to be baked into pick and pack or other fees, so they’re not always listed as standalone items within a pricing proposal. Here at EFS, we offer a number of free stock packaging options to make it more affordable for eCommerce sellers. Many fulfillment companies provide returns processing services for their clients. As part of this service, the fulfillment provider will inspect the returned merchandise, notify the seller, and either re-stock it, ship it back to the seller, or trash it depending on the condition of the merchandise. Returns fees are typically charged either on a per-order basis, which can include an additional fee for returned orders with more than one item, or they’re charged on an hourly basis. Online sellers can expect to pay for ongoing contact and support from their fulfillment company. Some providers charge a flat rate each month for client service and support. Other companies will charge sellers on an hourly basis for contact and support, whether from that company’s services team, IT team, or accounting team. When looking at a fulfillment pricing proposals, online sellers will find that some providers don’t have “Client Support” listed as a separate line item in the pricing proposal. This is because these fees are often bundled in with other things and listed under the title of “Account Management” or “Administration.” It may also be the case that client support isn’t listed in pricing proposals because those fulfillment companies only provide web-based support, such as email, so they claim to offer free support. At eFulfillment Service, we charge our clients a low, flat account management fee, which includes an unlimited amount of client contact, service and support, either by phone or email. Not all fulfillment companies have their own technology, but for those that do, many will charge a monthly fee to access it, which can cost sellers upwards of $100 or $200 per month. While different technologies have different bells and whistles, in general, fulfillment technology provides sellers with an overview of their inventory and orders. The fee that fulfillment companies charge for this technology covers things like web hosting and routine maintenance, ongoing cart integration support, as well as any customization required. At EFS, we provide online sellers with 24/7 access to our proprietary, web-based fulfillment software, which keeps our clients up-to-date on their inventory levels, orders and shipments. Integration with this technology is free, and ongoing access is included in the same low flat rate that encompasses unlimited service and support. While not all fulfillment pricing proposals include every fee listed above, when they are included, they’re generally not optional, meaning sellers have to pay them in order to use that fulfillment provider. I know what you’re thinking….that’s a lot of fees! And it is. But, as most online sellers can attest to, these are all things that merchants typically have to pay for, regardless of whether they keep their order fulfillment in house, or choose outsource it. If you’re considering outsourced fulfillment and are wondering if it makes sense for your business, request an order fulfillment pricing proposal from eFulfillment Service. We’ll go over the numbers together and give you real, honest feedback. In this post, we discuss the pricing and fees that eCommerce sellers typically encounter as they evaluate order fulfillment companies. Im trying to see if there are any models for ecommerce fulfillment pricing other than Transaction based and Revenue based. If you could help me out I would appreciate it. Thank you for your comment! eCommerce fulfillment pricing models do vary from company to company. I sent you an email with more information and I’d be happy to chat on this subject in more detail. Thanks again! We are looking at having product stored and shipped. Product size is 14’L x 34″ W x 6″H. Inventory about a 100 items total with 5 different part #’s. LTL truck pick up. Please let me know pricing. Thank you for your comment. We’d be more than happy to send you pricing. Would you be able to fill out our quote form on our website (http://www.efulfillmentservice.com/get-a-quote/)? That way, we will have a sales person get in touch and provide a fitting quote based on your order fulfillment needs. I am getting ready to start selling a product on a new website.I would like to talk to someone on pricing/charges for fulfillment. Thank you for the comment, and for your interest in our ecommerce order fulfillment services. To reach our sales department, you can call 866-922-6783, or email sales@efulfillmentservice.com. Thank you Steve for a great introduction into your services. I would like to get some more information on the pricing expectations. Please send me an email and I will will follow-up with you regarding details from my end. Thanks, John, I appreciate your comment, and I’m looking forward to talking with you more about our order fulfillment services for your business. I will be in touch soon!